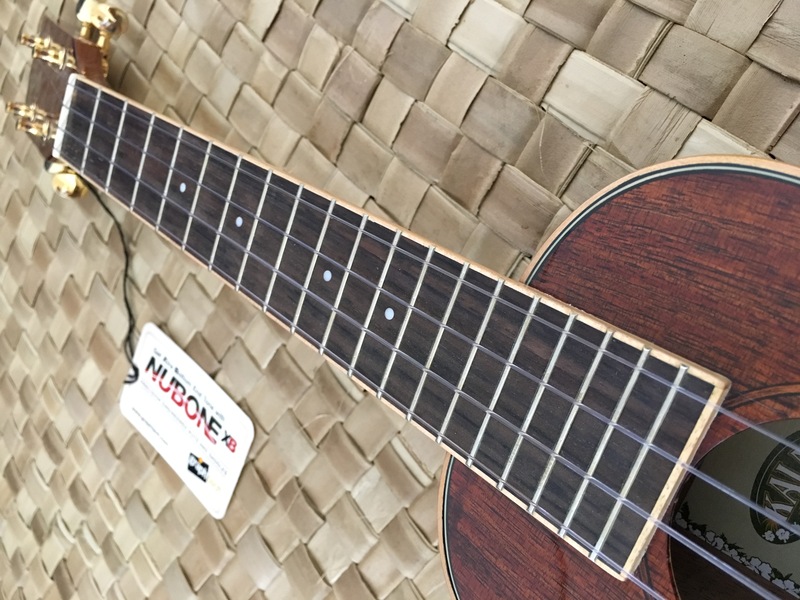 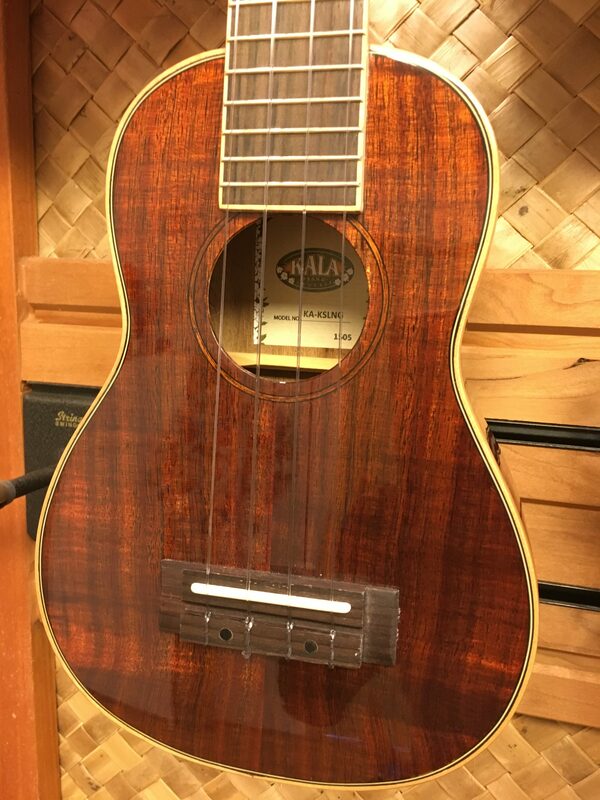 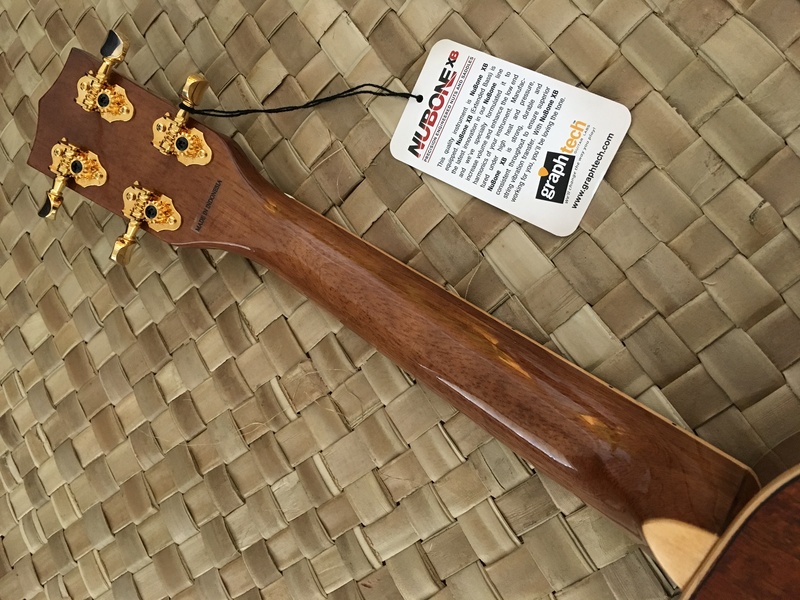 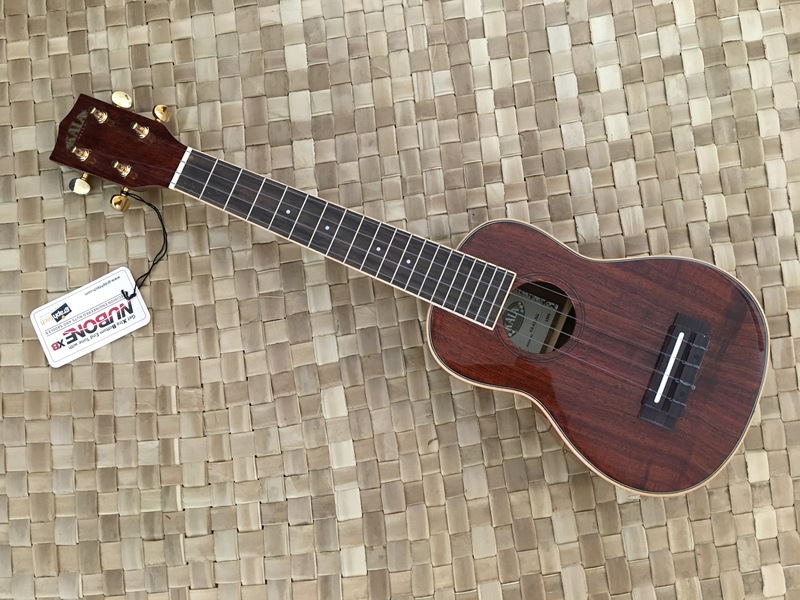 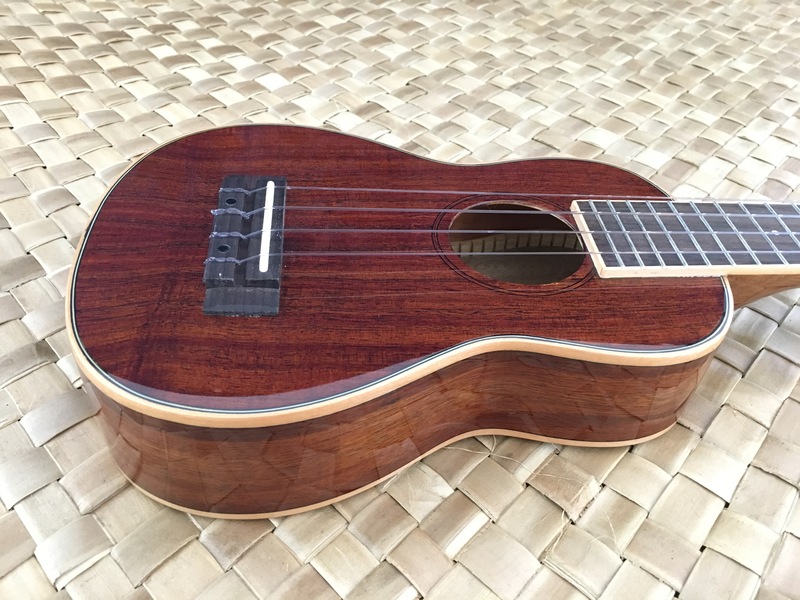 The Kala KA- KSLNG Hawaiian Koa Long Neck Soprano offers a fresh approach to ukuleles. 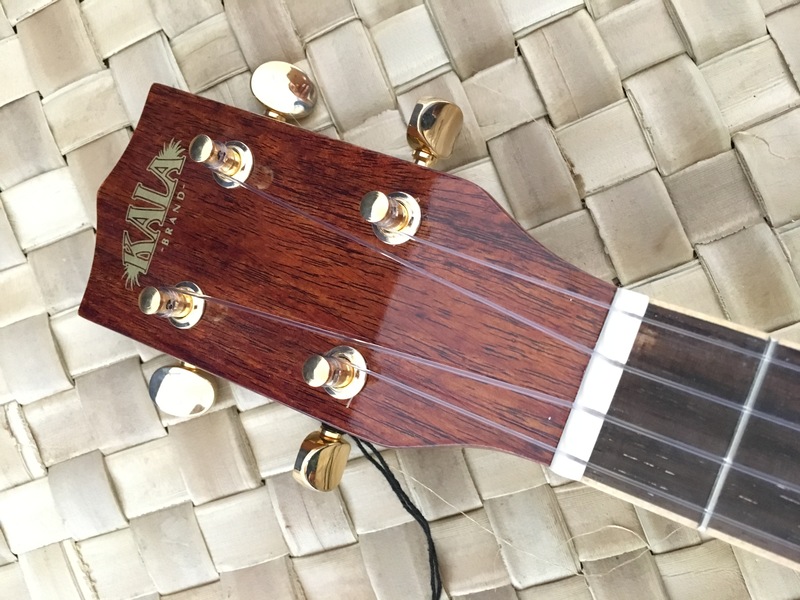 The KA-KSLNG has a Hawaiian Koa top, back, and sides, joined with an elongated mahogany neck for extended range. 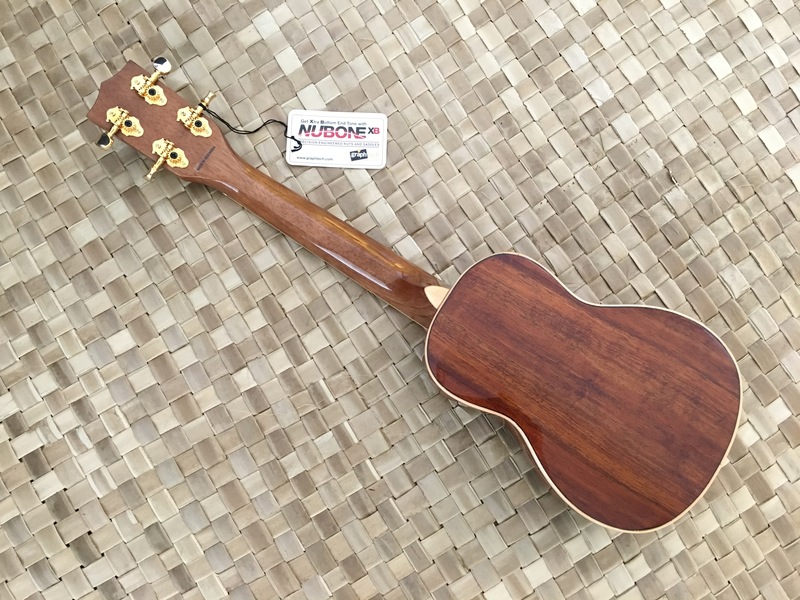 This combination of top shelf tonewoods deliver a tone that is bright, yet warm with enough volume that you will be heard while playing with a group. 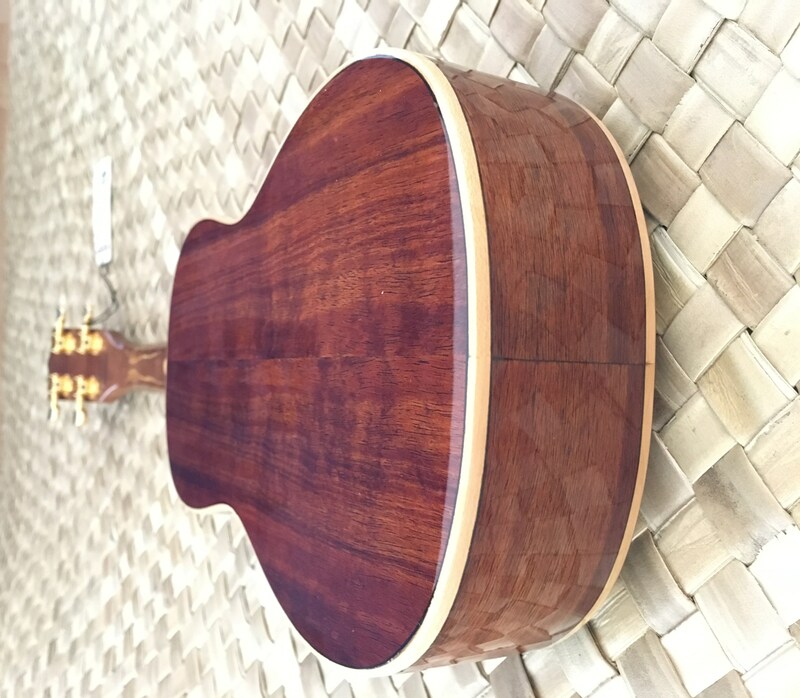 The body is also adorned with maple binding along the edges of the body to compliment the beautiful gloss finish. 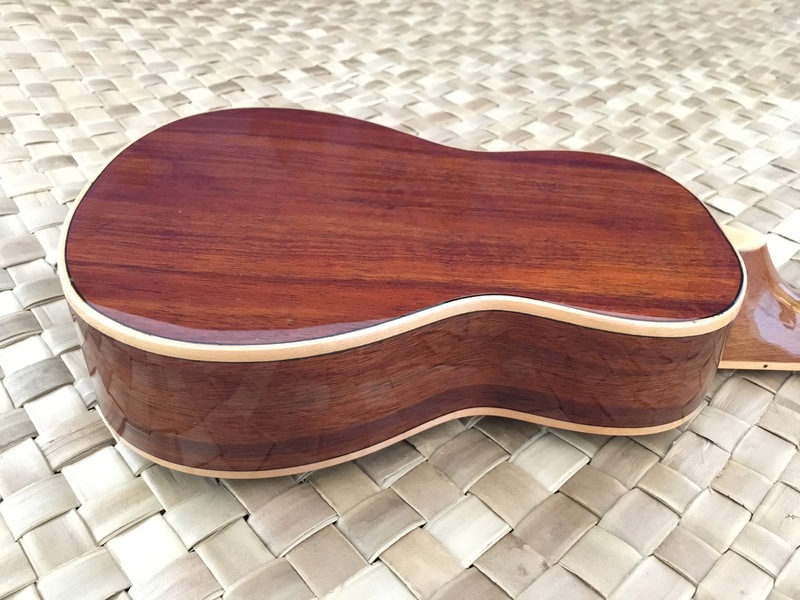 The finish also really brings out the attractive koa grain pattern. 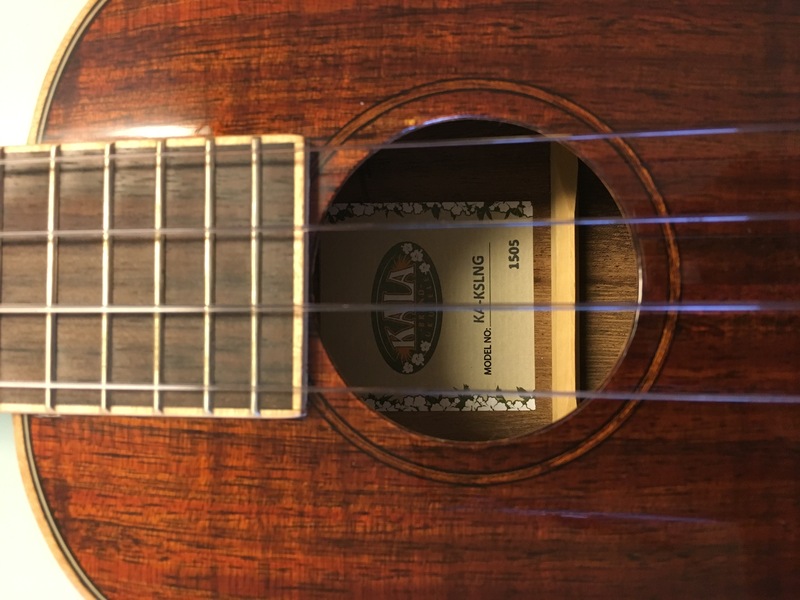 Guitar players will appreciate the low action and the ease of playability. 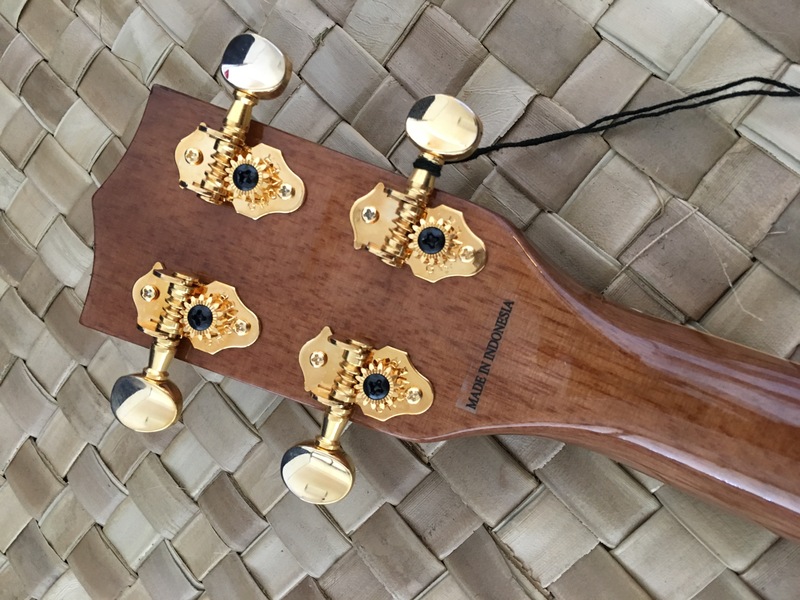 A set of Gold Grover open-gear tuning machines complete this attractive package. 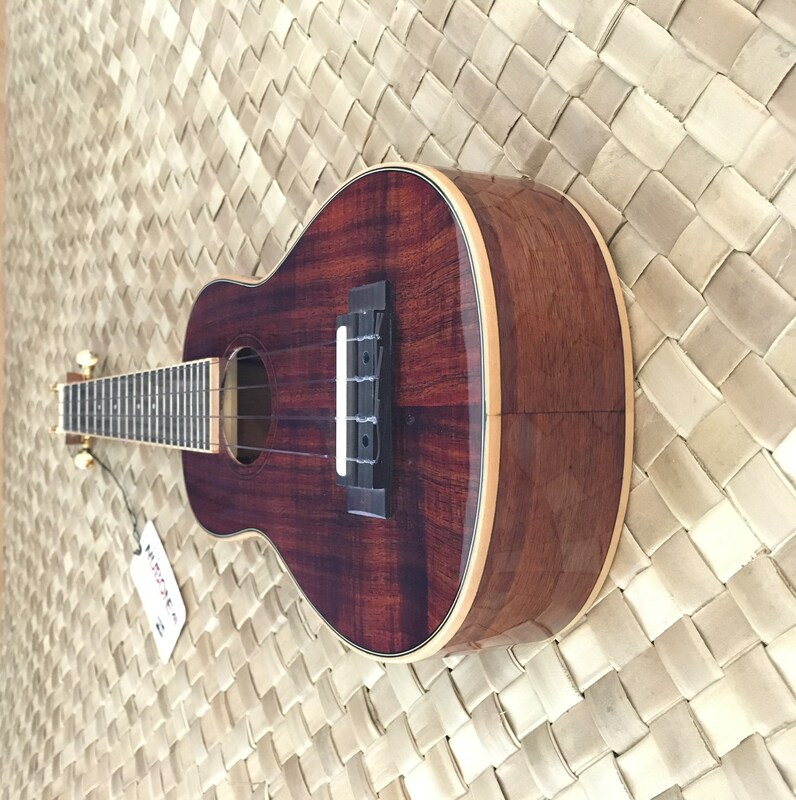 Case not included.